Scam Action Alerts are posted to keep the community aware of scam and fraud attempts currently being run in and around our community. This is done to help prevent seniors from being victimized. Download our Sitting Duck Resource Packet to help you learn to recognize the signs of scams. Social Security Scam – Recently, a growing scam has been circulating where a caller will claim to work for the Social Security Administration (SSA) and state that your social security number has been suspended because of suspicious activity, or because it’s been involved in a crime. They will often ask you to confirm your social security number in order to reactivate it. The caller may also claim that your bank account is about to be seized and to purchase gift cards in order to keep your money safe. The caller will also ask for you to provide the gift card codes. Your caller ID may say that the call is coming from the SSA number (1-800-772-1213), but the scammer is faking that phone number. “Scam calls are a persistent threat to seniors,” reminds Fales. If you feel you’ve been the victim of fraud or attempted fraud, please use the Toll-free Committee on Aging Hotline to report it at 1-855-303-9470. Keep up with local scam reports by visiting our website at www.carewellservices.org. For other concerns or questions, call CareWell Services Southwest at 1-800-626-6719 or 269/441–0930. Call us! We’re here to help. Medicare Scam/Illegal Marketing Alert – Last week, a MMAP client told us about a well-dressed man who knocked on his door in Post Edition, pushing a plan “better than your current Medicare plan.” He proceeded to state that the client’s doctors “didn’t even work with the plan the client had just enrolled in for next year.” We know this was untrue, as MMAP had phoned ALL the clients providers to verify participation prior to enrollment. The man stated that the client’s spouse might be able to get paid for caregiving for her ill husband. This is also NOT a Medicare benefit. The client’s wife became suspicious when the man asked for the client’s Medicare card, “to check on benefits” and then he refused to accept the new style Medicare card—he wanted the OLD one, which had the Social Security Number on it! She told him to leave, and he did. However, the man was observed continuing to door-knock in Post Edition later that day, November 20, 2018. It is illegal for Part D or Medicare Advantage Plan insurance sellers to sell door-to-door. They have to have a prior specific invitation from you to come to your home. Medigap sellers ARE permitted to sell door to door. Legitimate sellers will know the marketing regulations, and will be willing to show their business card AND their legal ID/Drivers License to prove they are who they say they are. If they won’t let you see their ID, don’t show them yours! Please be alert for these predators. Save any business cards they give you, snap a cell phone picture of them or their vehicles if you can do so safely, and report the scam to MMAP or 1-800-Medicare, or call the local police. Stay alert, stay safe, and don’t share your personal information with random uninvited strangers, no matter how well-groomed and well- dressed they might be! Door to Door Sales – The products offered may vary, but the red flags to look out for are that the deal sounds too good to be true and that a payment or down payment is needed immediately. Storm Chasers – These scammers come around after bad weather may have caused some damage to your home or property. They may volunteer to help remedy some damages for a small, up front fee. Do not pay up front for any services and avoid paying in cash. 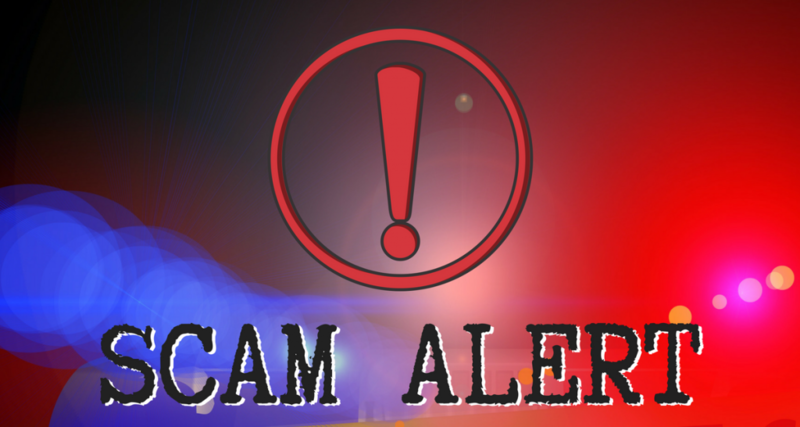 IRS Scams – Scammers posing as IRS agents may call to demand overdue tax payments or fees. This is a fraudulent call! The IRS will never call you to demand payment. Read more about summer scams in our area.